Black and white patterns, also referred to as monochrome, have been the ‘it’ style for as long as we can remember and this trend isn’t in any hurry to leave – which makes us so happy! Monochrome patterns add a sense of elegance to any space all while staying in touch with the minimalist vibes you’ve created throughout the rest of your home. 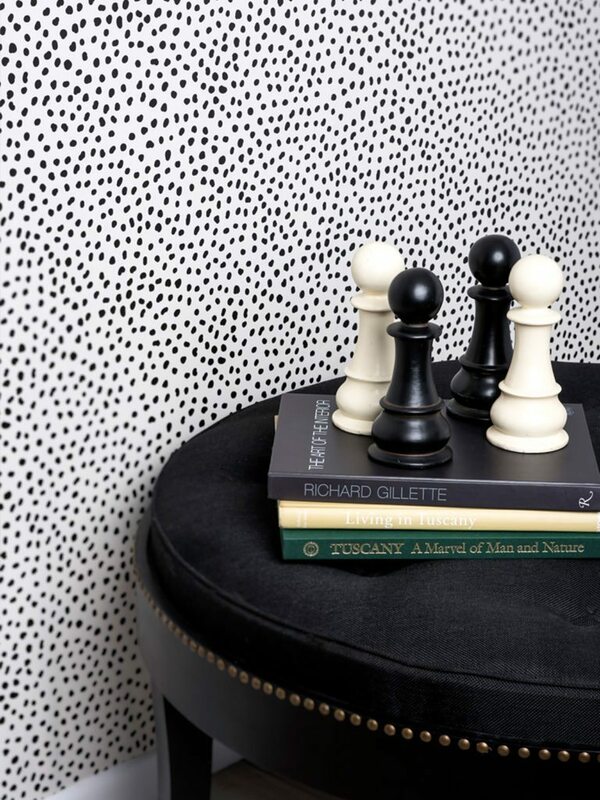 We’ve picked 5 of the best monochrome wallpapers to put throughout your home to achieve this highly sought after look. Taking inspiration from the canyons that live in the west of North America, Canyon is a rustic monochrome look with an earthy colour scheme. This wallpaper fits in effortlessly in any room of the house as its soft colours offer a sense of ‘grounding’ and pull the whole room together in a way you might have not expected. 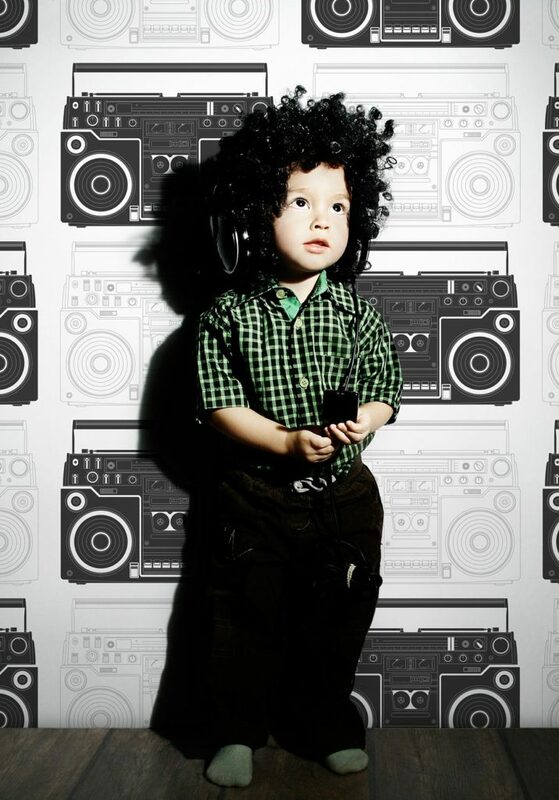 What better way to add a splash of monochrome than with Boom Box? This retro print is the perfect addition to any kid or teenagers room, with it’s funky and minimalist design, you’ll easily be able to pair it with the rest of the room. Boom Box is a pattern that will never tire, constantly bringing its feel good, monochrome vibes.  Looking for a monochrome design that offers a sense of depth and intrigues everyone who sees it? Woodland is the wallpaper for you! 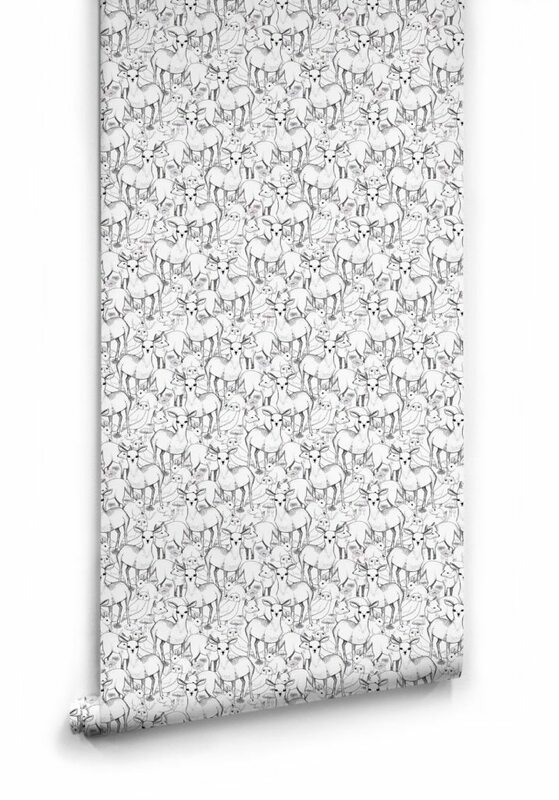 An array of beautifully illustrated woodland creatures live peacefully together in this monochrome design that adds a texture and a little bit of fun to your walls. Perfect for a living room or a study, this design is perfect for achieving the monochrome look in an unusual, but perfect, way. This texture has been the ‘it’ look in the monochrome world for a very long time, and for good reasons! 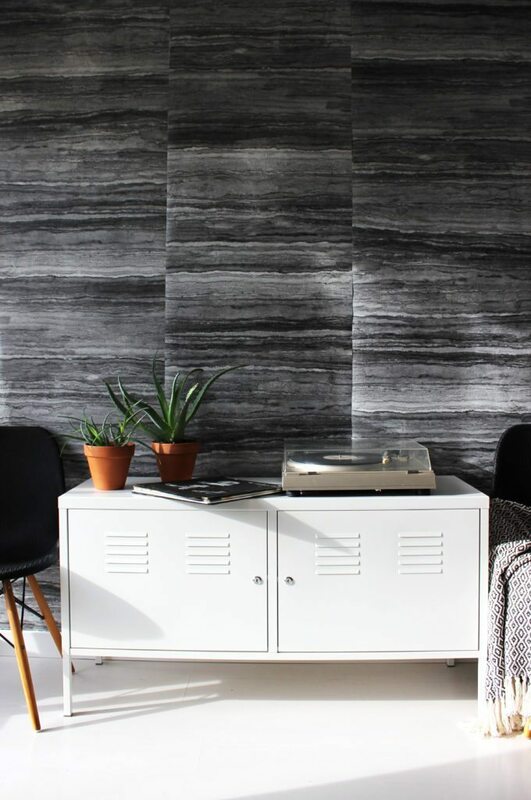 Marble adds a cool, calm, and sophisticated edge to any wall in your house with its effortless design of grey veins weaving through the white background. 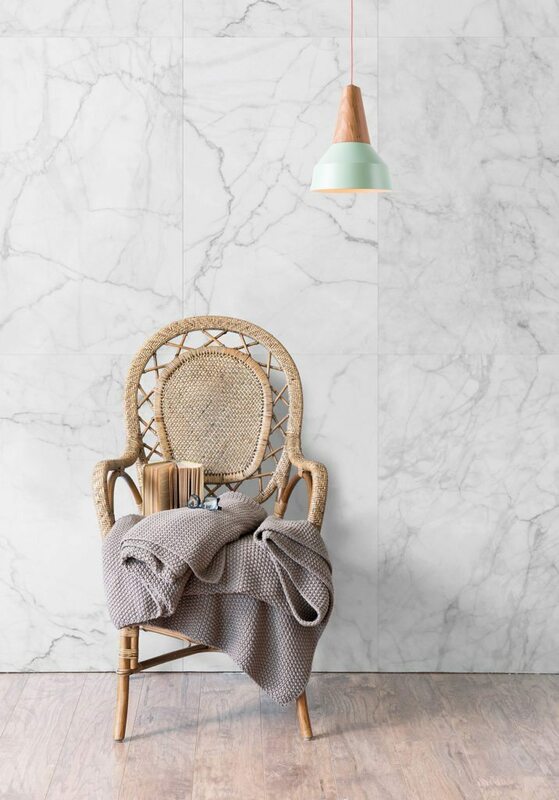 If you’re looking to spice up your kitchen, bathroom or even your living room Marble is the perfect wallpaper to add a smooth and chic look in a heartbeat – something that will have all lovers of monochrome swooning over. Playful, fun spirited and versatile – Jillian Harris has created the perfect little pattern that effortless compliments any and every decorating style. Leo’s Spots acts as a consistent backdrop while paying homage to the beauty of minimalist interior design, making it super easy to have Leo’s Spots along for the ride no matter how your style might change. These are our 5 go-to designs to effortless achieve a monochrome look throughout your home. We can’t wait to see which one you pick up, let us know which wallpaper is your favourite!